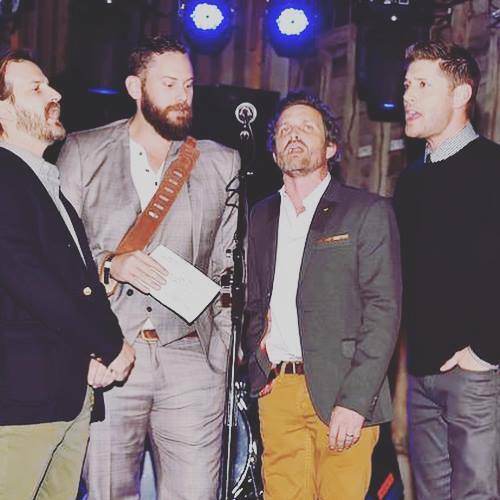 ‘Supernatural’ Chicago Convention: New Jensen, Richard, Rob, and Jason Ops! The anticipation leading up to Creation Entertainment’s upcoming Supernatural convention in Chicago, which is being held April 12-14, continues to grow as more exciting new photo ops are being added! On Wednesday, two variations of group photo ops with Jensen Ackles, Louden Swain, and Jason Manns were added to the already impressive roster of choices (and one of them sold out in less than 24 hours!) Today, Creation Entertainment has added two more group pairings that are not regularly available at their conventions. Hurry and visit Creation Entertainment’s website to purchase these amazing photo opportunities before they are gone! “The Walking Dead” Season 7 Official Trailer Has Been Released at Comic-Con! Season Finale Dates Announced for ‘Supernatural’, ‘Riverdale’, ‘The Flash’ and More!